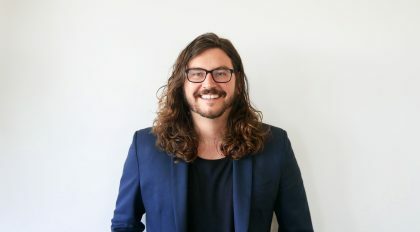 In the latest opinion from Men At Work Communications, Youth Strategy Director Nick Donovan (pictured below) explores the world of disruptor branding, and how businesses can take on established market leaders and win. The Internet and, more recently, smartphones have overturned almost every industry imaginable. In fact, well-established giants in most categories – from hospitality and transport to energy and media – are struggling to remain relevant in the midst of unprecedented competition from brands that have entered the market and seriously upset the applecart. Innovate or perish, they say. But in this environment, being innovative isn’t enough – not even close. What you really want is to be known as a disruptor. Think of brands like Uber, AirBNB and now, Vampr – they have seriously upset the status quo by taking on the accepted norm, turning it on its head, and recreating it in their own image. These brands empower consumers through the use of innovation and technology; through personalisation, self-service and peer-to-peer sharing – using the ways, means and methods that appeal to younger generations who will take up these new platforms and then push them to critical mass. They have ingrained themselves within the youth market, in particular, those tastemakers who determine what is ‘cool’ or ‘now’ and ultimately lead to mainstream acceptance. Most importantly, the fact that these brands are seen as rebellious and that they are perceived as taking on an industry is a big part of their success. In fact, while many ‘disruptor’ brands are merely an evolution of a pre-existing product or service rather than a true disruption, their ability to brand themselves as disruptors in the eyes of consumers has enabled them to successfully stand up against giants of industry and win. Uber took on the taxi industry and Airbnb faced off against accommodation. Now Vampr is trying to take out the middlemen within the music industry, by connecting musicians directly and helping to ensure the razor-thin profits for up-and-coming musos aren’t shaved down further by ‘management’. Clearly, Vampyr are trying to position themselves as a musician-cultivating Robin Hood, and to their credit, it’s working – everyone loves a rebel brand. Consider Uber and Airbnb and the legal trouble they faced when getting started. While there was nothing cool about Uber founder Travis Kalanick resigning due to a sexual harassment scandal, the fact Uber was illegal in Australian states for a number of years adds a certain edge and credibility to the company. That the government eventually rolled over and allowed the ride-sharing company to go about its business only adds to a story that young people love – Uber stuck to their guns and came out on top. Airbnb have walked a similar path, facing regulatory issue after regulatory issue, and while they continue to fight the good fight in a number of markets across the world, the simple fact they are projected to top $3 billion in revenue by 2020 suggests they’re confident of keeping on. Of course, taking on the establishment and winning is the holy grail from a marketing perspective, but it won’t necessarily see you become a multi-billion dollar company. No, that happens when the product or service you are offering offers serious cut-through – and that’s exactly what the most successful disruptors have done. It’s not rocket science – they have simply offered a far superior product. Uber, AirBNB and Vampr are on an upward trajectory because they saw a gap in their relevant market and a convenient way to fill it – by using the gadget in people’s pockets that consumers touch (on average) more than 2000 times per day. These companies are seeing success by giving the consumer unparalleled control. Successful ‘disruption’ – it’s really as simple as empowering the consumer, although that’s one of the simple lessons established businesses seem to forget. And that’s where the question of whether these companies are actually disrupting anything comes up. Any up-and-coming business could do a lot worse than look to Uber when they are starting out. But if you are using the San Francisco company for inspiration and a roadmap to success, you should be aware of the fact Uber did not disrupt the market, at least not in the true sense of the word disruption. Instead, they did what successful businesses have been doing since time immemorial: took someone else’s model and improved it. Few in the world would argue the taxi industry needed to be shaken up, which is exactly what ride-sharing has done, but they’ve done so by simply offering a better service. Think about it: what does Uber do that taxis don’t? Your driver offering you a bottle of water and lollies is nice, as is the fact the cars are clean and generally odour-free – and of course there is an undeniable convenience in being able to track your ride in real time, and the ability to book and pay through the app. None of these aspects could be considered a disruption to what a taxi can provide now though – they’re just improvements. But so what? Recognising a substandard business and offering an improved model has been a roaring success for Uber and countless businesses before them for the simple reason that it works. Is disruption simply a matter of branding? The concept of disruptive innovation was brought to the fore by the Harvard Business Review in 1995, in an article entitled ‘Disruptive technologies: Catching the wave’. Some 20 years later, that same publication published a piece in which authors Clayton M. Christensen, Michael E. Raynor and Rory McDonald argued that the term is being misused, holding up Uber as the prime case of a ‘disruptive’ business that doesn’t actually fulfil the definition. True disruption is more likely to come in the form of the driverless car or teleportation rather than a new (and admittedly roaringly successful) business model which dominates the competition by simply being better. However, while the fellows who coined the notion of disruptive innovation might be able to show that Uber isn’t disruptive, perception is reality, and most people don’t read, nor care about, the Harvard Business Review. And you better believe Uber aren’t about to post a blog about how this perception is incorrect. They have cleverly and successfully positioned themselves as disruptors because that perception has fuelled their rise. They are the disruptors who took on an industry and won. This is not just a lofty perspective that only applies to tech giants. It is applicable at a far more micro level, for any business in any industry. A chicken shop might incorporate digital self-service kiosks or customer loyalty technology to dominate the tired, old-hat, well-established competitors in a local market – if they the position themselves as disruptors taking on on the establishment, you’d better believe they will come out on top, provided their product is top quality as well. If well-established players are cornering a market, find a way to brand yourself as a disruptor. Of course, once you then become the dominant player, there will likely be another disruptor nipping at your heels.